Maryann Gladfelter Joins the WriteSteps Team! 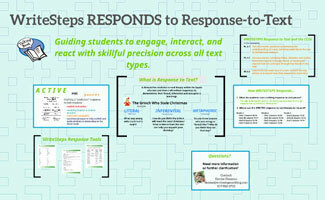 Watch our Prezi presentation for ideas on teaching response to text to your students. How the Grinch Stole Christmas is the example text used in the informational presentation. The Common Core places a premium on students learning to write successfully about their reading. In order to do that, students need to be able to write structured pieces in which they make and support claims, analyze text, and incorporate evidence. This work, which is so central to the Common Core in grades 3-6, integrates close reading skills with informative writing skills. What is response to text? A demand for students to read deeply within the layers of a text and then craft written responses to demonstrate their literal (right-there), inferential (between-the-lines), and metaphoric (in-your-head) learning. Keep in mind, this type of reading has been coined as close reading; getting up close and personal with a text. Response to text requires ACTIVE, not passive, reading and thinking. At WriteSteps we call our active reading “Talking Back to Books.” These are formulated questions that students use while they’re reading. This promotes active reading engagement. Questions/prompts to help scaffold and guide students to interacting on the three levels, listed above. Response to text is a developmental skill. Students must first learn to read before we can ask them to demonstrate their learning. With that in mind, WriteSteps formally starts response to text writing in 3rd grade. However, we do start preparing students with engaging literacy activities starting in kindergarten. Where can you find SPECIFIC WriteSteps response to text lessons? Want to learn more about response to text? Watch our Prezi presentation here! 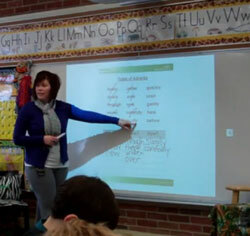 2nd Grade TeacherStar Emily Stephens is pictured teaching her Unit 3A Day 6, a lesson titled Paragraph Plan & Write. We’re excited about the huge amount of interest we’ve received from our WriteSteps teachers regarding our TeacherStar initiative! A huge thank you goes out to all of you who have participated so far. They’ve done a wonderful job and we’re excited to share their modeled lessons on eWriteSteps. It’s not too late to participate in our Teacher Star initiative and earn $200.00. Don’t forget that we’re also offering to send a videographer out to video tape you! Contact our TeacherStar Coordinator, Emily, at [email protected] or 800-689-1408 #15 for further information. 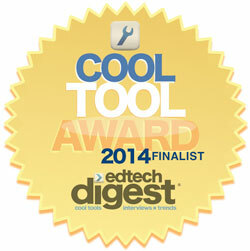 WriteSteps Announced as a Finalist for the EdTech Cool Tool Award! We’re proud to be a finalist in the fourth annual EdTech Digest Awards Recognition Program honoring tools, trendsetters and leaders in the education and technology sector. The distinguished awards program recognizes outstanding solutions—and the best and brightest minds—in education and technology. WriteSteps was nominated for the Cool Tool award category, which recognizes new, emerging and established technology solutions for education. You can see a full list of this year’s award finalists at //www.edtechdigest.com. Winners will be announced soon. This fun poster highlights the Six Traits of Quality Writing. 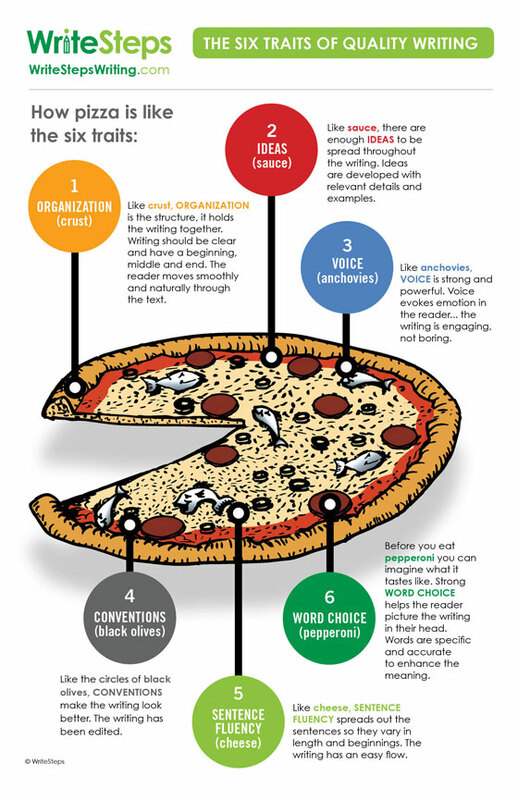 Hang it in your classroom to remind your students to think about organization, voice, ideas, word choice, sentence fluency, and conventions, while they’re working on a writing piece. WriteSteps sends a warm welcome to one of our newest Awareness Ambassadors, Maryann Gladfelter. Maryann started working with us in December and has already made great progress sharing WriteSteps with teachers in the New Jersey area. Maryann is looking forward to teaching educators about WriteSteps and helping children gain the critical skill of effective writing. 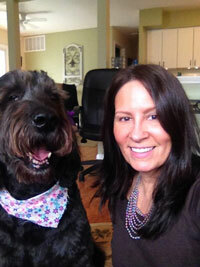 Outside of work, Maryann enjoys cooking and eating healthy is at the top of her list!